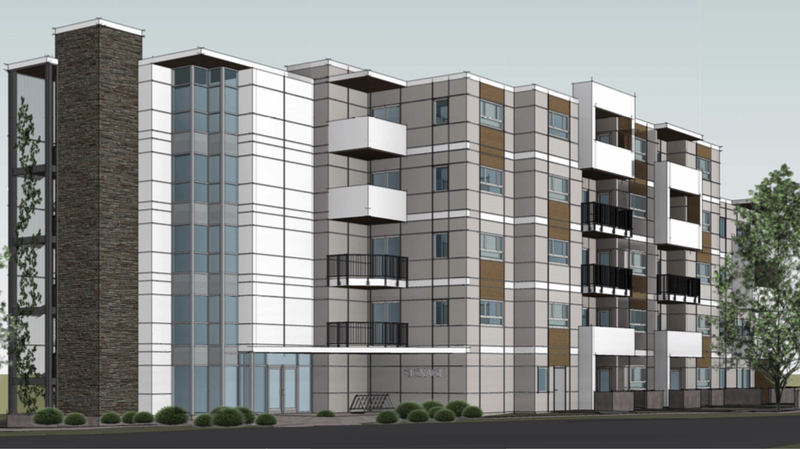 No renderings are available yet, but a developer has submitted an application for a 35-unit residential rental building at 1906/1912 Duchess Street. The architect is KPL James, and the building will front Fort Street. Half of the units will be 1-bedroom, a quarter will be 2-bedroom, and the remainder will be studios. Ha! So that's where Duchess Street is. I have a CoV Duchess Street street sign at home, which I found discarded downtown something like 15 years ago. Some of the comments on the CALUC response are priceless. I don't know how developers ever manage to get anything built in this city. 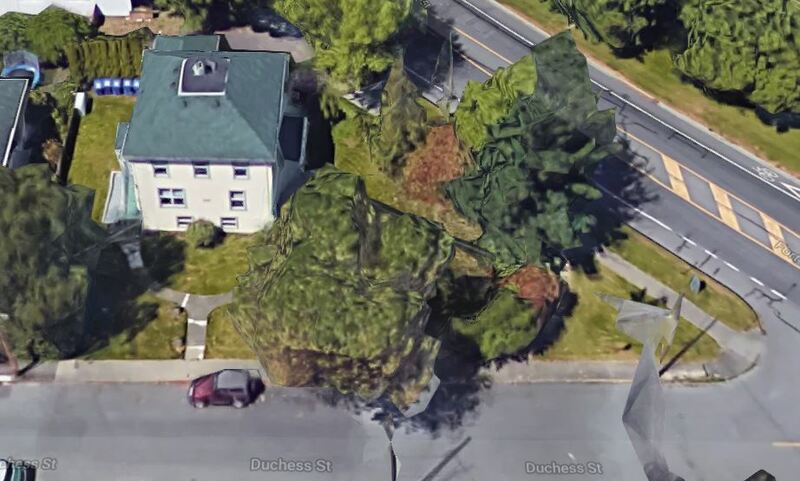 Nice Arbutus tree there? I see that somebody mentioned it. Although I complain about tree chopping regularly and (some would say) to an annoying degree, it still bugs the heck out of me how wildly inconsistent Victorians are on this point. The only trees that anyone cares about are the trees that can be used in ploys to block development. Edited by aastra, 22 January 2019 - 12:40 PM. Oh Lord, I was not expecting that. Pleasantly surprised or sadly disappointed...? The windows would seem to be rather few and rather tiny. Perhaps it is taking its architectural cues from its neighbour to the immediate west on Fort. If so, it's sort of successful. The City appears to be asking for approx. 300 sq.m road dedication from the developer, which shaves off both road frontages and cuts off the tip of the wedge. Will be an interesting site to deal with. Some of the elevations are better than others. Hopefully they put in some fast growing trees with good crown spread to hide that blank southeast wall! Edited by Jackerbie, 23 January 2019 - 09:04 AM. I don't mind most of the design with the exception of that large blank wall and the 1960s-motel-inspired exposed stairwell. Would it be outrageously expensive to close in that portion of the building? The stairwell appears to be "enclosed" in metal grating with climbing ivy. Hopefully the plants are maintained and thrive, otherwise the stairwell will look prison-like. The stairwell appears to be "enclosed" in metal grating with climbing ivy. Uggh. Despite being more-or-less evergreen, ivy still loses leaves which will get all over the stairs. What a numbskull idea. Just enclose the space with glass. 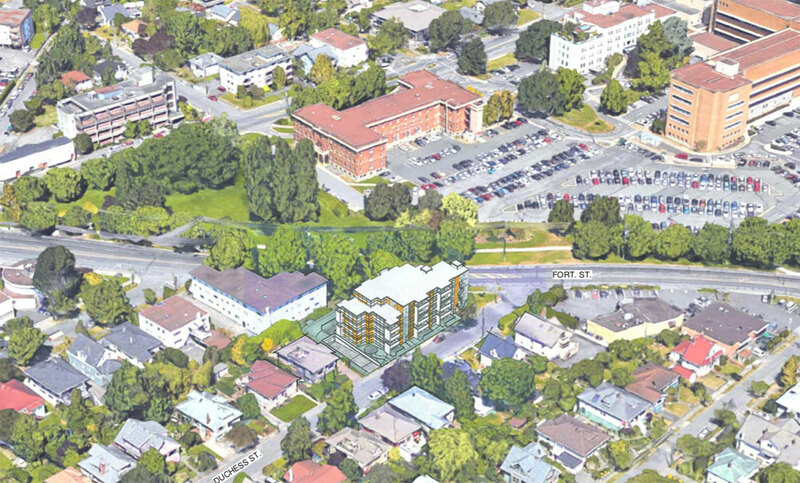 An aerial view of the Jubilee neighbourhood and the 1906-1912 Duchess Street proposal, superimposed at-centre. I had to search for a while to find the superimposed image. LOL! 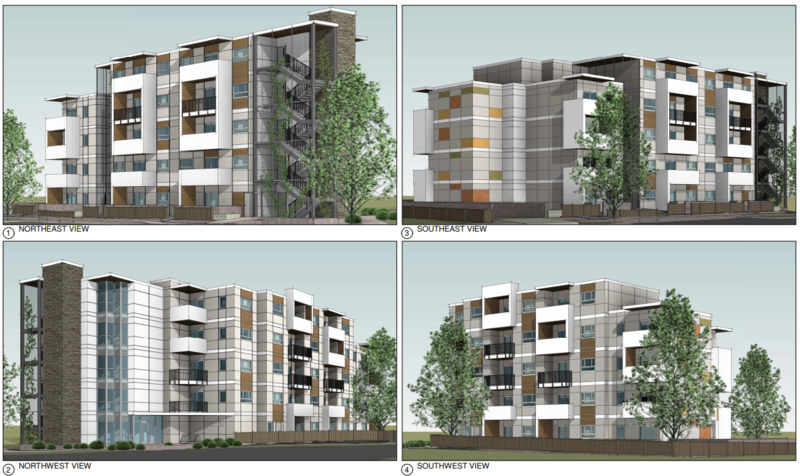 I guess that means this project will easily blend into the existing fabric of the neighbourhood. Of course who knows what will transpire here once the NIMBYs are through with it. Although it faces a major traffic artery it's in a mostly quiet SFD neighbourhood and I wasn't expecting to see something to big and slick looking. I guess I was expecting peaked-roof townhouses or something. I still like it and think it would be crazy to put less density on such a prime central location near the hospital so it's thumbs up from me. Side note: the architectural firm, KPL James, has been in operation in one form or another since 1912 and they were linked to P. L. James and Rattenbury.